Ealing Council has been awarded a record number of prestigious Green Flags for 21 of its parks and open spaces, further enhancing the borough’s reputation as one of the greenest and most beautiful in London. In total, 21 Green Flags were awarded to the council this summer: Three more than last year and the most ever achieved in the borough. This year, Blondin Park, Spikesbridge Park and Litten Nature Reserve have all been given a Green Flag for the first time. Keep Britain Tidy’s Green Flag awards recognise and reward the best parks and green spaces across the country. A Green Flag flying is a sign that identifies the park for its high standards, is beautifully maintained and has excellent facilities. 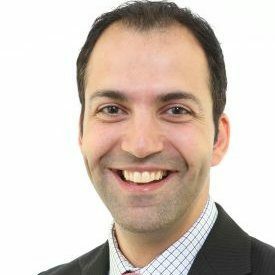 Councillor Bassam Mahfouz, cabinet member for transport, environment and leisure, said: “Ealing has a well-earned reputation for its beautiful green spaces and they continue to be a source of great pride for everyone connected with the borough. “I am delighted that a record-breaking 21 of our parks and open spaces have been recognised by a prestigious Green Flag, it’s a wonderful achievement. The Green Flag Awards are judged by more than 700 green space experts who assess using eight strict criteria including horticultural standards, cleanliness, sustainability and community involvement. The Green Flag awards scheme is run by the environmental charity Keep Britain Tidy. Visit www.greenflagaward.org for further details.